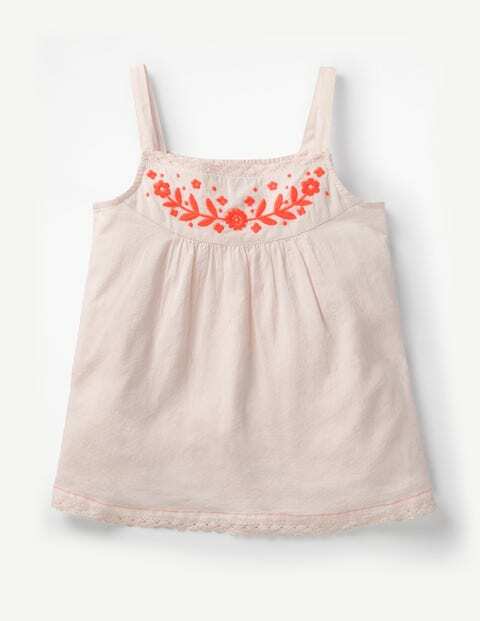 Sunshiny days call for a cool-as-a-cucumber top and this camisole is just the ticket. Subtle lace trim on the hem and neckline balances with a delicate embroidered panel and a softly gathered full swing body. Easy to pull on thanks to the smocking elastic at the back and the straps are adjustable – it's ready, steady, time to head outside.